There were at least 1.3 billion reasons to oppose the Lincoln Yards TIF deal—until, under intense pressure from local residents, Sterling Bay scrapped plans to build a soccer stadium. So that means—one reason to oppose down, and another, oh, 1.3 billion reasons left to go. That 1.3 billion is the money it will cost you to build Lincoln Yards—a project that nobody other than the developers has asked for. 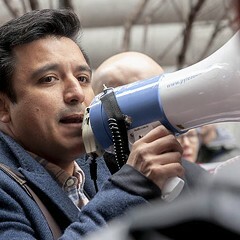 Welcome to the next installment in my multipart series on the making of TIFs in Mayor Rahm's Chicago—also known as the fleecing of Chicagoans by its not-so-beloved mayor as he dashes out the door for greener pastures. I'll get to that $1.3 billion, but first, to review . . .
We've already learned that TIFs raise your property taxes, even as the mayor swears up and down that they don't. They're intended to eradicate blight in low-income communities, but instead they largely underwrite upscale developments in already gentrifying areas (like the near north side between Lincoln Park and Bucktown). They annually divert hundreds of millions of property tax dollars from the schools, parks, fire department, and police. 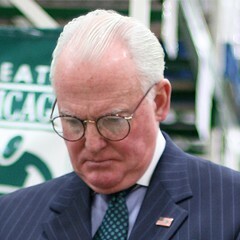 Every TIF contract is approved by the City Council's finance committee, whose chair until recently, Alderman Ed Burke, has hit up TIF recipients for his property tax appeal business. Or maybe they voluntarily hired Burke's law firm to curry his favor—guess we'll have to wait for his corruption trial to find out. And now, I'll reveal how much Rahm's latest TIFs will cost you and how the mayor's proposing to spend your property tax dollars. Don't blame me—I'm only the messenger. The bottom line is—as I said—$1.3 billion. Well, actually, it's $2.4 billion. That's $1.3 billion for the Cortland/Chicago River TIF district, which will go to Sterling Bay's Lincoln Yards deal. Also, there's $1.1 billion for the 78—a South Loop development that I call Rezko Field. 'Cause Tony Rezko, the notorious fixer, used to own the land. As a general practice, I think we should name all TIF deals after convicted felons. Nothing quite symbolizes corruption in Chicago like the tax increment financing program. 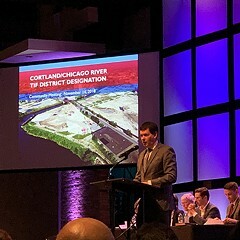 Most attention has focused on Lincoln Yards—largely because Sterling Bay's ignited local opposition with its proposal to build a massive complex (50-story skyscrapers included) on 55 acres in the heavily industrial area just west of Lincoln Park. So I'm going to concentrate on the Lincoln Yards budget. But don't worry, I'll get into the sordid details of the $1.1 billion Rezko Field (or Roosevelt/Clark TIF) another time. 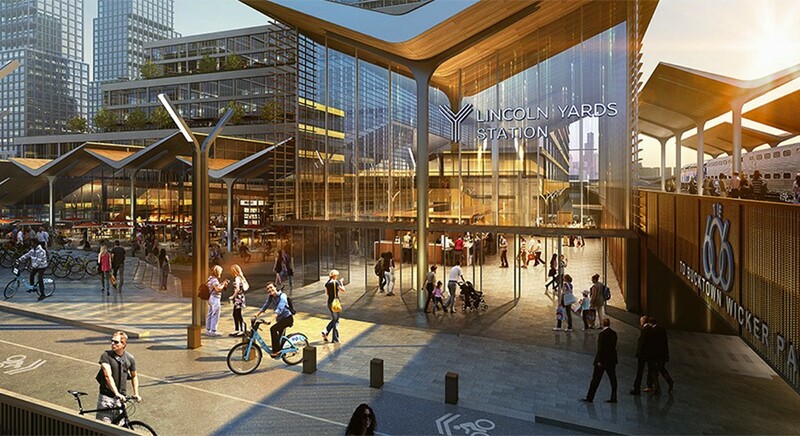 The budget for Lincoln Yards has been a work in progress. At a public hearing in November, the city estimated it would spend about $800 million on the project. Then in December, the city released its official Cortland/Chicago River Redevelopment Plan, an 83-page document written in dense legalese. On page 24 under a chart headlined Estimated Cost (in big bold print) there's an itemized list of expenses that totals $900 million (also written in big bold print). So somehow, in less than a month, the price tag rose $100 million. But wait! There's a footnote that links to some fine print at the bottom of the page that says "in addition to the costs listed in the table above," the project "shall include an estimated total of $400 million in additional financing costs, including without limitation interest expense, capitalized interest and costs associated with optional redemptions." In other words, we're paying for the borrowing costs. In TIF deals, as in used cars—beware of the fine print, people. At this point I'd like to give another shout-out to Dave Glowacz, who writes the Inside Chicago Government blog. He's the guy who discovered the $400 million fine print while plowing through the contract. He's also the guy who discovered that the Joint Review Board was meeting to discuss the TIF—something the city neglected to mention. That enabled dozens of residents to show up to the Joint Review Board meeting a couple weeks back to protest. Not that it did any good, 'cause the board rubber-stamped the deal. Anyway, the first item in the estimated costs should fall under the category of you've got to be freaking kidding me! It's where we learn that Rahm's proposing to commit $25 million of your hard-earned property tax dollars to pay for Sterling Bay's lawyers, publicists, architects, and marketers. Marketing? It's bad enough that we have to stomach their propaganda. Even worse that we have to pay for it. 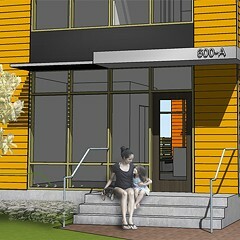 Then there's another $25 million to buy property and demolish buildings. I call this the buy-and-obliterate the Hideout (and other local properties) fund. 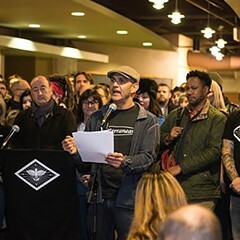 The Hideout's the bar—owned by Katie and Tim Tuten—that hosts my First Tuesdays show with Mick Dumke and has been threatened with extinction by the project. For all I know, it's getting punished for putting us onstage. Like I've been telling you, Katie and Tim—get yourself a good eminent-domain lawyer. 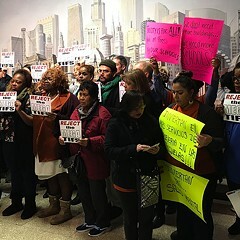 Then there's $22.5 million set aside for "job training, retraining, welfare-to-work" and "day care services" for low-income employees who are working for businesses in the TIF district. The purpose of these programs is to make sure that people from communities other than the near north side benefit from the TIF. These are good programs. And I support them. But Sterling Bay, not the public, should be paying for them in exchange for getting the TIF handout. In other words, it's not really a community benefit if Sterling Bay just passes the cost on to the public. The largest expense is the $800 million that's earmarked for "public works & improvements." The budget doesn't specify what they are—presumably that means building bridges, streets, sewers, etc, to accommodate the project. Look, no one told Sterling Bay it had to build such a massive project. If it can't afford the infrastructure, it should scale the damn thing back. By chance, the Sun-Times recently published a poll of the most important issues on the minds of Chicago voters as we head toward the February 26 mayoral election. In descending order, they are crime, city finances, schools, political corruption, race relations, and police reform.